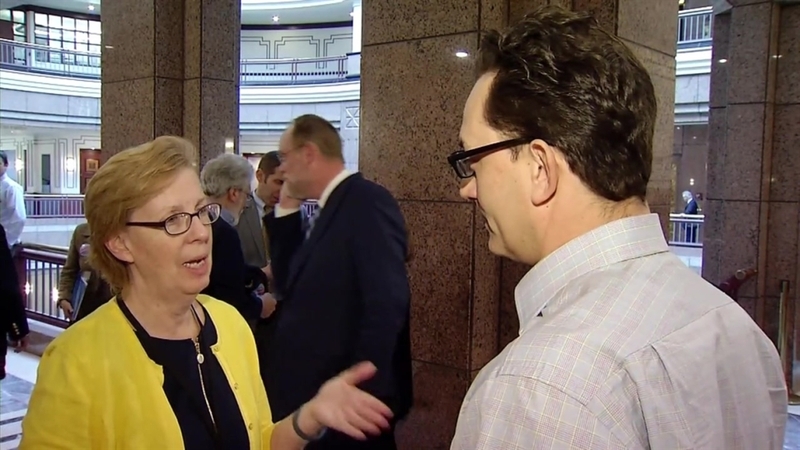 State Senator Cathy Osten is looking to get the federal government involved in what she describes as the crumbling foundation "crisis." She wrote two letters -- one to Gov. Dannel Malloy and the other to three members of the state's Congressional delegation – to push for a disaster declaration that could provide the funds for homeowners to replace their foundations. The NBC Connecticut Troubleshooters have been reporting for months on the problem that's impacting hundreds of homes in Hartford, Tolland and Windham counties. Experts say the failing foundations cannot be fixed and the only remedy is replacing them at a cost of $150,000 and up. Senator Osten said the legislature's planning and development committee has already passed a bill to allow homeowners to get a revaluation of their home at any time during the year to provide some temporary financial relief, but the aim is to truly make them whole again. "To look at the six-figure replacement of the foundations for the people to get their homes back, that's the ultimate goal with the legislation. We believe it more firmly fits in with the federal government's ability to do this and we think that there are many more people who have not come forward because they don't know of any way that they can be made whole," the Sprague Democrat says. Senator Osten believes FEMA is the most logical agency to handle the crumbling foundations problem. Although she said that agency's initial response might be negative, she is hopeful that the federal government will ultimately provide the money to restore the value of these homes and maintain the viability of dozens of communities east of the Connecticut River. Meanwhile, preliminary results of the state's investigation into the problem are expected later this spring.